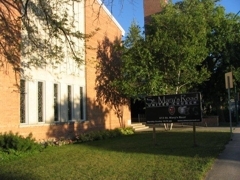 Welcome to St. Mary’s Road United Church! We are a community dedicated to uplifting and meaningful worship, and a community that believes our faith calls us to real action in our lives, in the community and in the world. At St. Mary’s Road, we experience worship through three unique worship Paths. The Tree of Life honours the richness of our heritage, The Journey explores faith though the culture and media of today,and Rainbow a service designed specifically for children. We believe that exciting and new things are happening here and we are very energized by new directions the spirit is taking us. If you are looking for a church home or are just looking for a place to feel the spirit for today, we invite you to spend some time with us.